Our NAWBO-Northwest Chapter was founded in 1995. 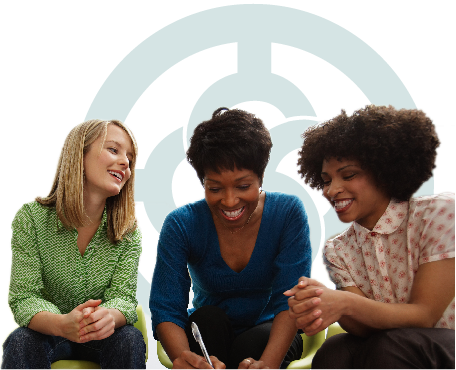 We are one of only two NAWBO chapters in the states of Washington, Idaho, and Oregon. Propelling women entrepreneurs into economic, social and policy growth to create thriving businesses in the Inland Northwest. NAWBO National began in 1974 and is headquartered in Washington, D.C. It is the only dues-based national organization that represents the interests of women entrepreneurs in all types of businesses. NAWBO National has over 82 chapters in 33 countries. Our NAWBO-Northwest Chapter was founded in 1995. Coralie Myers, in her capacity as director of the Spokane Business Incubation Center, heard about NAWBO while attending a conference. She immediately called Diana Wilhite, principal in Safeguard Business Systems and local political activist. Between the two of them, few local women business owners escaped their gentle persuasion. Before too long, 15 women agreed to find time in their already-hectic lives to found a local chapter. Thanks to their dedication and forethought, our chapter continues to be a vital source of support for more than 75 women business owners from the Inland Northwest. Since 2011, we have partnered with Transitions, a Spokane non-profit organization that benefits women and children. In late 2013, we held a “Necessities Drive” for Transitions to collect items such as shampoo, soap, toiletries, hats, gloves—the basic things that most of us take for granted. We also sponsored a full table at Transitions’ major fundraiser, where many NAWBO members donated to the organization out of their own pockets. Finally, each year we donate a percentage of our proceeds from our annual fundraiser, unCorked!. This has included scholarships for new women entrepreneurs, just starting up their businesses. We are honored to help women in Spokane however we can.